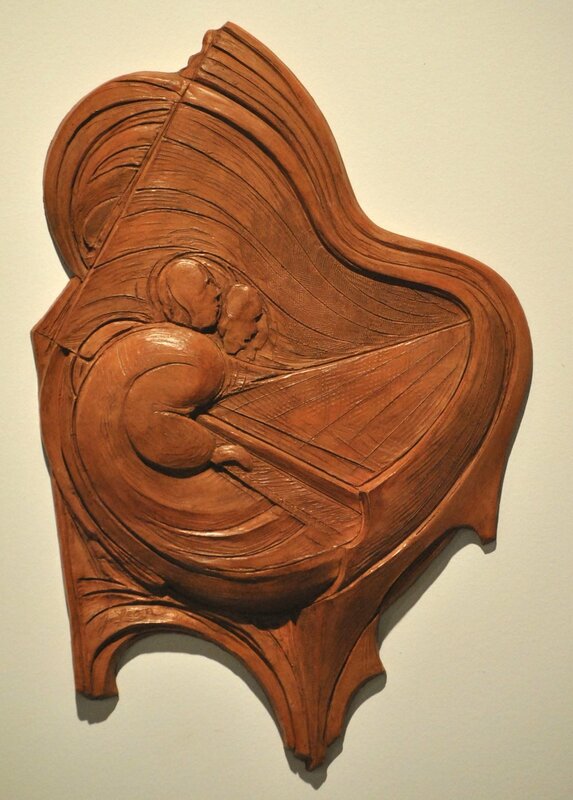 This is my second bas-relief sculpture inspired by the music of jazz pianist & composer, Thelonious Monk. It's a musician is one with his piano and his music; taking his inspiration from within himself and putting it out to the world--introspective and “extrospective”. The first version came to me while listening to his composition "Monk's Mood." Cast Stone. Edition of 50.